DAVAO CITY, Philippines (Mindanao Examiner / Mar. 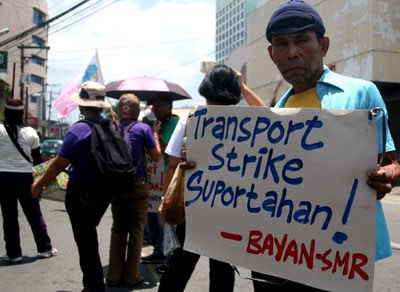 31, 2011) – A nationwide transport strike on Thursday paralyzed many parts of the Philippines as bus and jeepney drivers protest continued hike in oil prices and demanded Manila for a new round of fare increase and government subsidy. 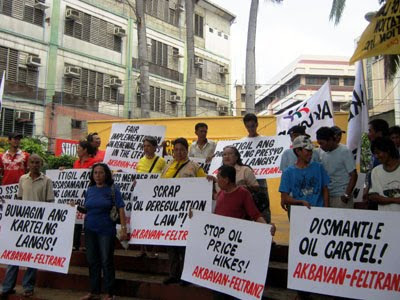 The militant Bagong Alyansang Makabayan in Southern Mindanao has declared victory claiming the public valiantly expressed their voice against the unbridled exploitation of oil companies by way of a nationwide transport strike. A measly 5% of Davao City’s estimated 10,000 public utility jeepneys were plying the main thoroughfares. “This is a display of the people’s determination and resolve to take a stand against their continued exploitation and misery wrought by the oil cartels’ complete control of the oil industry,” said Franchie Buhayan, the group’s regional head. 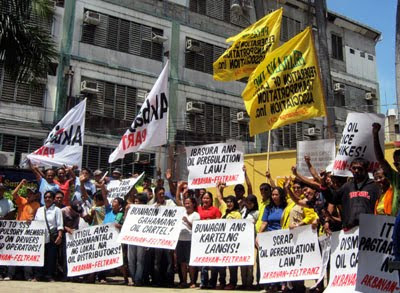 Buhayan said students, teachers, and women also took to the streets and joined the protesting drivers. They raised placards and distributed leaflets. Massed up in various ’persuasion points’ also were the peasants, workers and the urban poor, who took turns at making the public understand the reasons why they are on the streets. Members of religious organizations, professionals and nongovernmental organizations also joined them. “That these were all happening despite threats coming from the government agencies and the elite who peddled much pessimism against the strike as an effective means of people’s expression of their legitimate demands, is a testament, that the people’s resolve have prevailed,” Buhayan said. Bayan also condemned police harassment after a man in civilian clothes who came from inside a police station took pictures of the protesters. 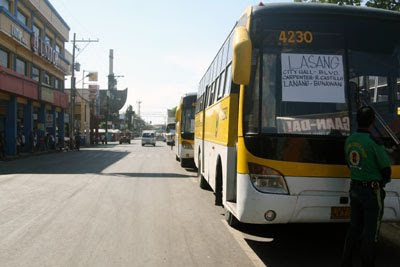 It also accused the Land Transportation Franchising and Regulatory Board of planning to issue franchises to bus operators to replace the jeepneys in Davao City. Pump prices have increased 10 times since early this year. Fuel prices, Buhayan said, are overpriced by as much as P6.72 per liter. “The people have all the just cause to declare a strike. It is such a shame that Aquino can still talk in defense of these oil companies rather than protecting the people,” Buhayan said. 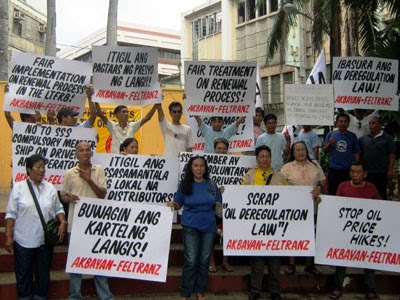 In Zamboanga City, jeepney drivers also staged a strike and held a protest in downtown area where members and supporters of Akbayan party-list joined them.